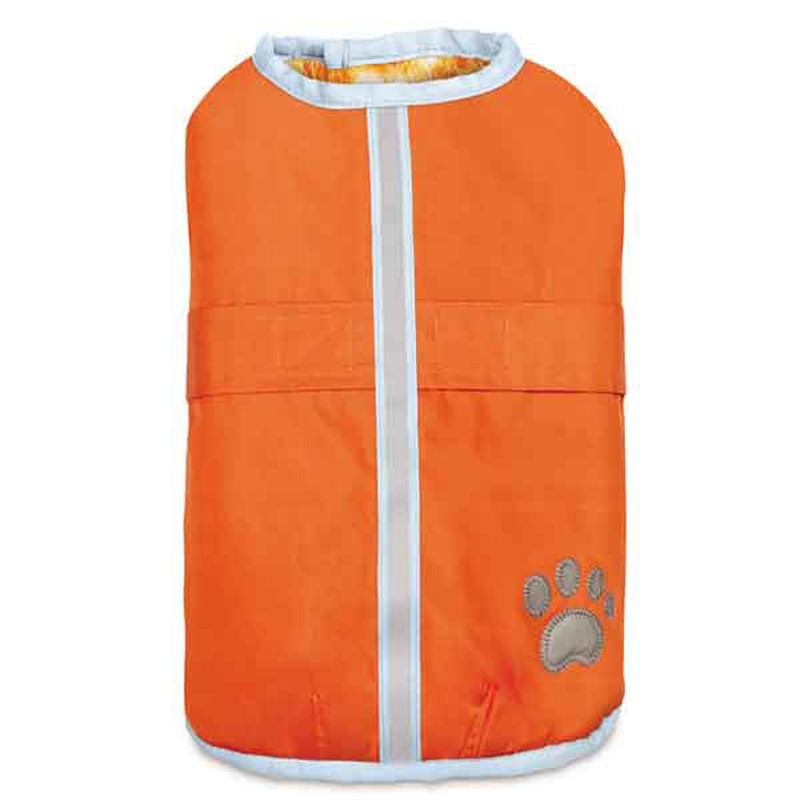 Enjoy the ability to keep your dog warm and change their style in a flash with the Zack and Zoey Hairy Yarn Reversible Thermal Nor'Easter Dog Coat in Orange. 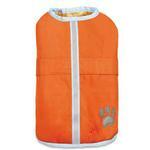 Make the cold weather warm and stylish with the Zack and Zoey Hairy Yarn Reversible Thermal Nor'Easter Dog Coat. 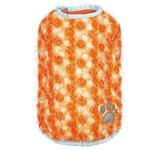 Solid design with reflective stripe and pawprint on one side and a soft eyelash yarn design on the other. Made of 100% Polyester and MPET(metallized polyethlene terephthalate) the same technology used for "space blankets" to provide optimum warmth without the bulk. Great for those chilly outings. Small/Medium: Chest 19." Neck 12" Length 14"
Easy as 1-2-3. #1 Look at all the wonderful merchandise. #2 Place your order. #3 Receive the merchandise. Easy as 1-2-3.